Written for Armadale Town Forum held on 20th June, 2013. Hi fellow residents and official guests. I want to read this letter out to all of you because I believe it is important to state what we in Armadale want and why. What we really want in Armadale is to change how safe we feel in our own community, especially at night. We want to permanently secure our town centre and public transport so restaurants and other businesses can thrive at night. Episode 2 of the podcast is now available! First episode of the (un) Common Sense podcast is up! If you would like to suggest a topic for discussion on the (un) Common Sense podcast, head over to the #UCScast hashtag on twitter. Yes, that is different to the hashtag originally stated, but it makes sense so we will be using it from now on. (un) Common Sense podcast has arrived! The (un) Common Sense podcast is here. Ask @troutish questions for the show via twitter on the #UCScast tag. Download link for episode 1 of the (un)Common Sense podcast will be available at 8:00 AM Perth time on Sunday the 9th of June. Posted on June 8, 2013 June 8, 2013 Categories Activism, Environment, PodcastTags (un) Common Sense, Australia, Economic, Perth, Podcast, Political, SocialLeave a comment on (un) Common Sense podcast has arrived! 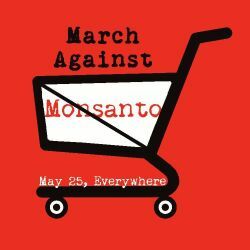 Last weekend I took part in the March Against Monsanto here in Perth. It was a good turn out for Perth. Between 1500 and 2000 people attended on a day which started at Parliament House, continued with a march through the city and ended up with speeches in Raine Square. Monsanto are the most unethical company in the world, responsible for the likes of ‘Agent Orange‘ and genetically modified crops which had a variety of negative effects when independently tested on rats. Monsanto are also responsible for promoting irresponsible use of ‘Round Up’, which we now know is linked with Alzheimer’s, Parkinson’s, Autism, Depression, Cancer and other medical conditions. It’s no surprise then that the local population are resisting Monsanto’s attempts to bully their way into WA’s agriculture industry.